Iman Shumpert has officially warmed our hearts for the week. 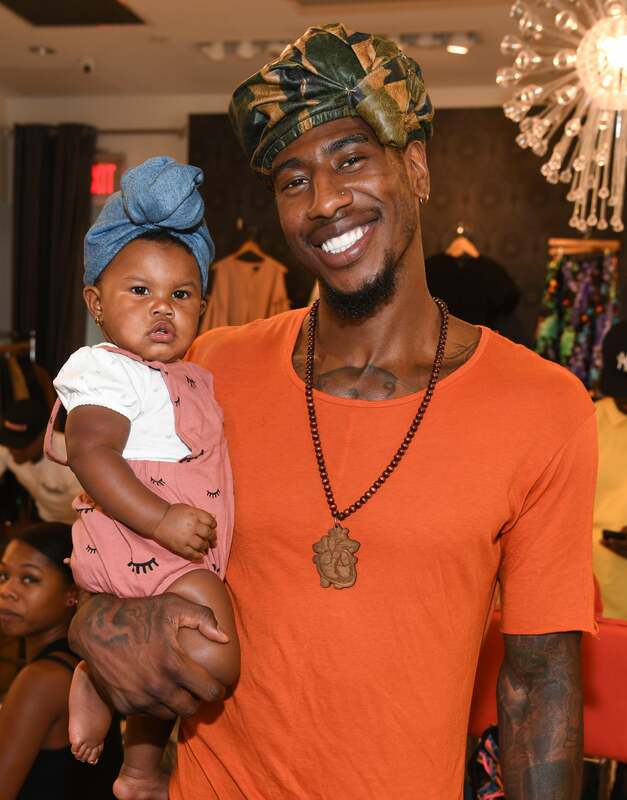 On Twitter the Cleveland Cavaliers player shared a sweet photo of him and daughter, Iman Tayla “Junie” Shumpert Jr. that has everyone talking. Simply smiling into the camera together, Shumpert captioned the photo with, “This father stuff will turn you soft man, really soft.” Instead of long essay-tweets about toxic masculinity and “soft” being a social paradigm, social media did the exact opposite. Following his lead were dozens of men sharing photos of themselves with their children, showing how much they adore their kids as well. In December 2015 Shumpert and his wife, Teyana Taylor welcomed their baby girl. They celebrated their one-year anniversary on Oct 1 with photos from their intimate wedding day. While the 27-year-old has been playing for the Cavaliers for three years, Taylor is set to star in an upcoming Netflix comedy The After Party alongside French Montana, Blair Underwood, Wiz Khalifa and Kyle Harvey.